The first step to creating competent content is to understand user needs and behaviour. Prior key word research will help focus content writing for your specific purpose. Keyword research goes a long way in finding the balance between audience needs, product/service offering and how the audience search the web. Put yourself in the shoes of your target audience and think about what they’ll search for. 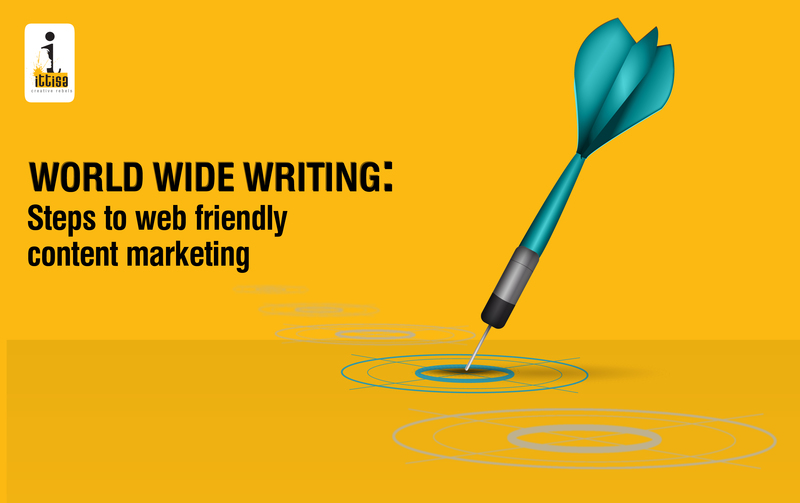 Train your writers to optimize content for search as they write. This will result in organic search and ranking on search engines. When SEO (search engine optimization) is seamlessly incorporated into content it is no more an added obstacle but just an integral part of the publishing process on the web. As small of an advice as this might sound, it is one of the most significant step that people take for granted while creating content for their websites. Reading from screens, whether from tablets, computers or phones; can be tiring to the eyes and slower than reading printed material. Accordingly, simpler the writing simpler it is for your audience to absorb the information. Avoid using jargon and complex sentence structures, but do try and use shorter words and active voice wherever possible. Listicles are popular for a reason. When writing, try and break your topic down into points with descriptive sub headings making it succinct and easy to scan through. Including internal and external links to your precious content is just another step to get your readership to increase. Internal links are those that gets linked back to content on your own website pertaining to the topic the reader has been searching for. This helps to keep people on your website reading your best content. Whereas, external links are those that is linked to works of other people. As a content producer, you’re duty is to ensure that your reader gets maximum knowledge on the subject in a short span of time. The only thing to look out for here, is that both internal and external links are made using bold descriptive text which enables readers to easily find the links while scanning through. Creating original content should be the number one priority for any website. Copy pasting can only get you so far. Original content receives followers on its own, if promoted. Content originality does not always mean coming up with a new topic, it might also refer to the freshness or the change in perspective with which the content is presented. Proof of your originality will always entice readers to come and take a look. Use real life examples, success stories, user tweets and so on to back up your content. The digital age and audience is unforgiving of any errors committed by their favourite brands, which leaves no space for mistakes in your website content. Do a thorough research on any topic and double check it before you reproduce it into content for your website. Don’t forget to proofread and edit your writing, something as petty as grammar mistakes might just take the light off of what you are trying to say. The steps mentioned here are few of the simplest you can use to ensure active content marketing, yet they are overlooked by many websites leaving them with substandard content that has few or no readership. As content creators for the web, the most important thing to remember is to write content that educates and imparts knowledge to the readers with true passion.